OVER £1.4 million worth of motorcycles were sold at Bonhams' spring auction at the International Classic Motorcycle Show in Stafford yesterday. 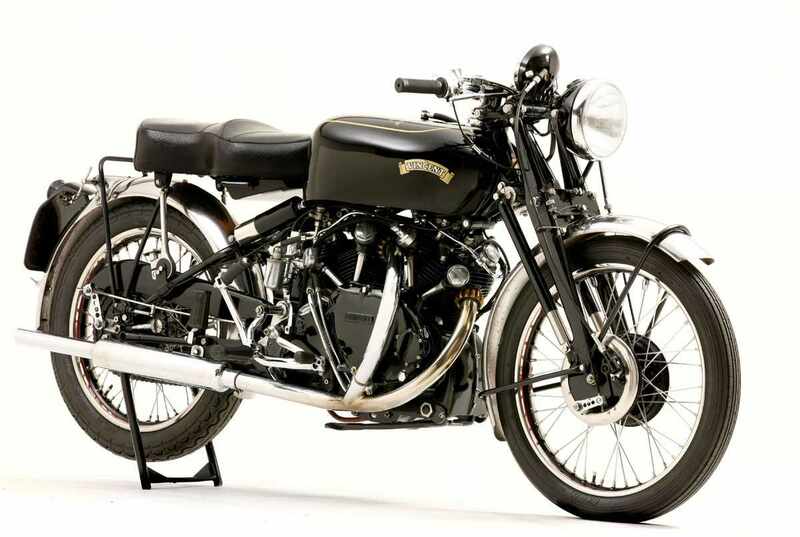 The top-selling lot was a fully restored 1952 Vincent Black Shadow, which realised £113,500. The ex-works machine formed part of the factory’s unsuccessful bid to set a new 24-hour speed record at Montlhéry, France, in 1952, but the British team returned home with eight new records, including six hours at over 100mph. Among other auction highlights were a 1931 Brough Superior SS80 motorcycle won in a raffle more than 40 years ago (where tickets were sold for 5p! ), sold for £57,500, and a 1914 Indian Model F once owned by Steve McQueen, sold to a European telephone bidder for £32,200. An eclectic selection of 30 machines owned by the late Clifford Jones - a number of 1950s ‘cafe racers’, as well as modern-day racing and superbike machinery including numerous Ducatis - sold for a combined £175,000. Two Akai Yamaha race helmets worn by the legendary Barry Sheene in the 1980s together fetched £10,000.